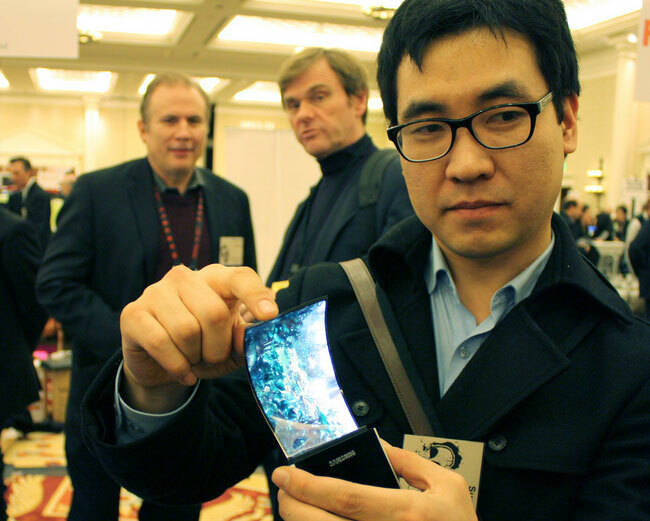 After announcing the delay of the mass production of their flexible AMOLED screens, Samsung has released a new video providing a quick glimpse into their concepts and ideas for uses using the new flexible and transparent displays. The video after the break shows the new screens being used in everything from watches to transparent touchscreens within the workplace. With the technology even capable of replacing the tablets of today in the near future. Even though we would all be delighted to see this technology land in high street stores very soon, but it thought that the mass rollout of the technology into everyday life is still around five to ten years away. But as always whenever any more information comes to light we will keep you guys updated as always.